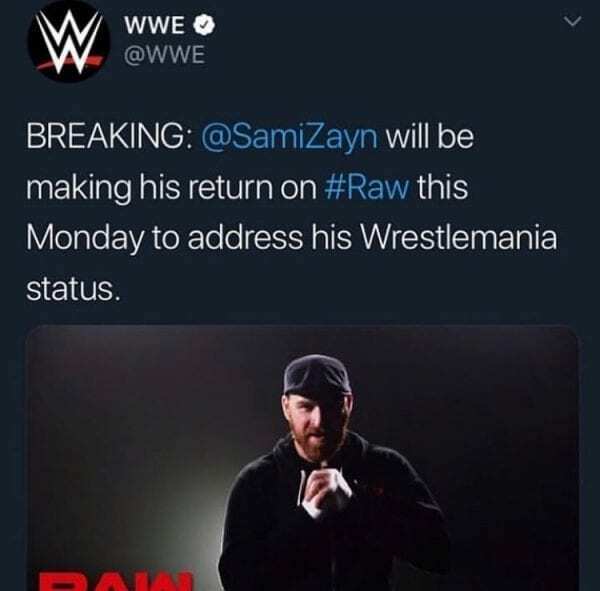 Earlier today there was a rumor floating around that Sami Zayn would be returning on this week’s episode of RAW to address his WrestleMania status after a screen shot of a tweet surfaced online that was allegedly sent from WWE’s official Twitter account. 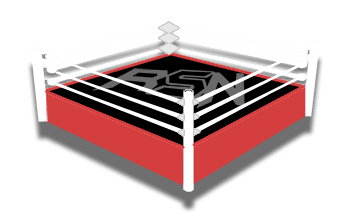 We can confirm that this tweet making it’s rounds is fake and WWE never made the announcement on Twitter. As of this writing it remains unknown exactly when Sami will return from the injury that currently has him sidelined. We will keep you updated if we receive any additional information.